Little Crafts to Sew for Easter! 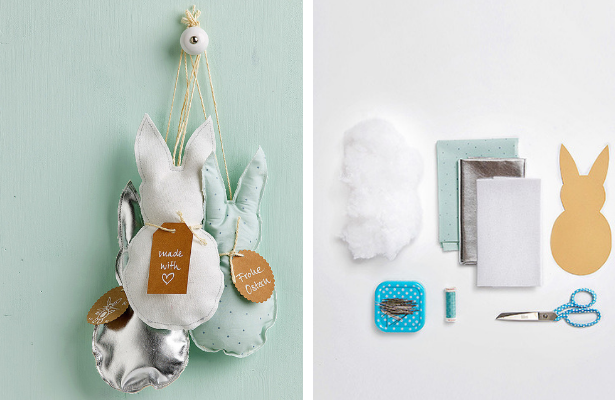 Whether at the door as an Easter decoration or as a great last-minute DIY gift idea: These cute bunny tags made of fabric attract everyone’s attention and are sewn together quickly. 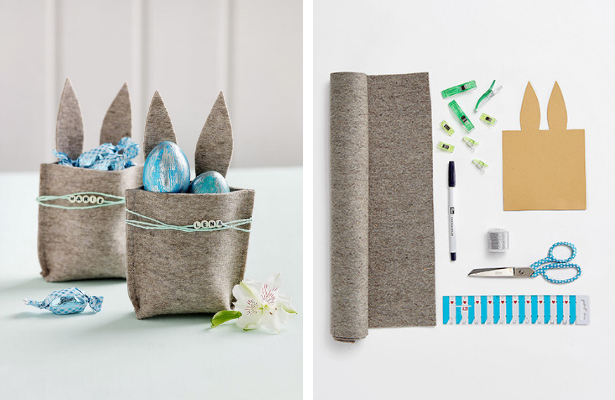 And also make this cute little bunny nest to store all your goodies from the Easter bunny! Step 1: Place the 2 pieces of fabric (leather and printed cotton) one on top of the other wrong sides together, and pin the template. Stitch all around with a short stitch leaving an opening at the bottom. Step 2: Cut back the seam allowance to approx. 3 mm away from the stitch and stuff the bunny with fiberfill. Finally, close the opening at the bottom with the sewing machine and sew on a drawstring at the top. 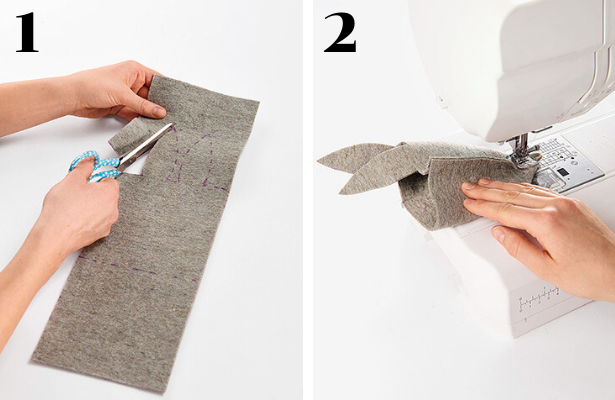 Step 1: Draw the template in felt with marker without seam allowance (ears only on one side) and cut out. Fold wrong sides together and topstitch the side seams. Step 2: Lay both corners together and stitch at approx. 3 cm and cut back the seam allowances. Flip to right side and fill with goodies! 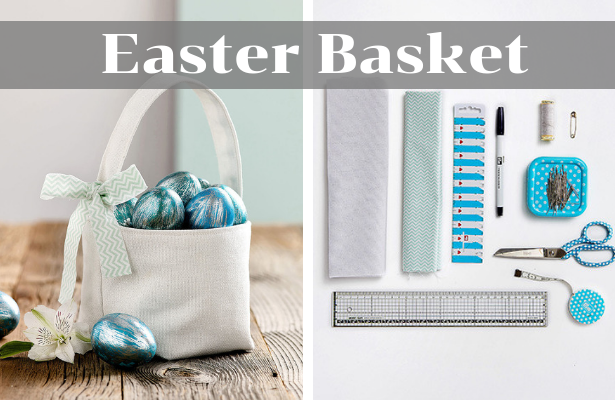 This fabric Easter basket not only looks pretty on the table, but is also suitable as a catch all for Easter gifts such as sweets and other small souvenirs. It should be working now!! Thanks for letting me know.